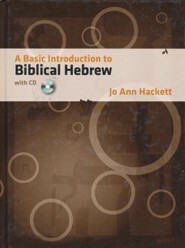 It has long been acknowledged that the classic textbook Basics of Biblical Hebrew was the standard Hebrew grammar for college and seminary students wishing to study biblical Hebrew. With the release on Jo Ann Hackett's grammar A Basic Introduction to Biblical Hebrew that assumption can no longer be made. Hackett's grammar is arranged in 30 lessons which makes it excellent for intensive study over the period of 1 semester, or for 2 semesters over the course of an entire school year. During the study the stude4nt will encounter several new approaches to learning the language. First, Hackett lists verbal forms from 1st person to 3rd person, rather than the traditional approach of 3rd to 1st. She acknowledges that the traditional way in counter intuitive with English speaking students because they learn their verbs from 1st to 3rd. Second, rather than introducing both strong and weak verbs together, Hackett divides them and presents all strong verbs first, and then introduces weak verbs near the end of the book. Again, the principle in play here is to follow a formal order that layers and slowly introduces nuance into the language rather than shifting back and forth between straight forward items, and more difficult aspects of the language. Third, Hackett also jettisons what she believes are "old-fashioned methods" of teaching the Hebrew verbal system in favor of a more simple, but also more descriptive system using the terms "prefix conjugation" and "suffix conjugation." She also uses ve-qatal to describe what is popularly known as the "converted perfect". Fourth, unlike many Hebrew grammars, Hackett introduces her verbal forms logically. She notes, "It is a logical progression to begin with the prefix conjugation and lead up to the consecutive preterite. The consecutive preterite is the form beginning students must know thoroughly in order to read most biblical prose, and in order to lead them to that form, I needed to introduce the jussive, and in order to introduce the jussive, I first needed to present the prefix conjugation. 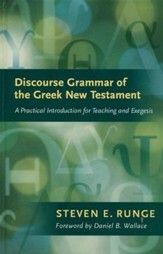 Finally, Hackett introduces several new pedagogical techniques in her grammar. She emphasizes accent marks in her exercises, though both are artificial, or written by Hackett rather than taken from the biblical text. But Hackett's goal justifies her actions; she wants "to present both disjunctive and conjunctive accents to the students, and at this early time in their biblical Hebrew study, the impossibility of some of my combinations will not affect their learning the [accent] system as a whole." Along with this Hackett does stress the memorization of paradigms, and supplies verbs, where needed, to complete the paradigm even if a particular verbal form does not appear in the Hebrew text. The CD which accompanies the book contains several helpful features for the student, not least of which is its helpful pronunciation guide. This includes the pronunciation of all Hebrew-to-English exercises in lessons 1-15, and the first two exercises of lessons 16-30. It also supplies the full pronunciation of Genesis 22.1-19, a common text used by instructors to help students learn pronunciation. Lastly, the answers for the books exercises can be found on the CD-ROM, and an additional workbook containing graded reading of biblical passages, glosses, additional vocabulary, is in the works and will be keyed to this book. Linguistics expert and long-time educator Hackett offers a robust introduction to biblical Hebrew grammar and the Masoretic text. The graded exercises from Hebrew to English are intended to introduce the student to the many possibilities of biblical Hebrew prose. Later lessons include texts taken from the Masoretic text of the Old Testament with footnotes to explain unusual or advanced formations. Classroom tested and suitable for self-study as well, this quick-moving one-semester course (30 lessons) features clear, readable explanations, exercises, and examples that provide students with an effective foundation in original language usage. 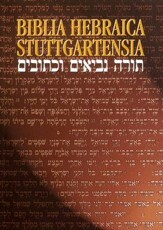 This textbook is also suitable for an entire first-year's study of Biblical Hebrew conducted at a slower pace. 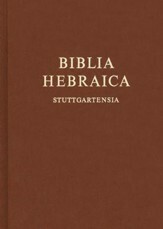 Course work includes an overview of the history of the Hebrew Bible; deductive lessons on recognition, drawing, and pronunciation of consonants and vowels; memorization and recitation of the alphabet; and proper spelling of words; as well inductive experience in translating biblical passages. Excellent textbook for students who wish to progress beyond using simple reference works and ideal for those who wish to read the Hebrew Bible deeply, widely, and accurately, as well as for any who wish to pursue advanced studies in the Hebrew Scriptures. Jo Ann Hackett, for many years Professor of the Practice of Biblical Hebrew and Northwest Semitic Epigraphy at Harvard University, Cambridge, Massachusetts, is professor of Middle Eastern Studies at UTAustin. She is the author of numerous monographs, including The Balaam Text from Tell Deir Alla; and has contributed to The HarperCollins Study Bible and The Oxford History of the Biblical World. Hackett is esteemed by her students for her ability to train them in both the fundamentals and intricacies of original language usage. 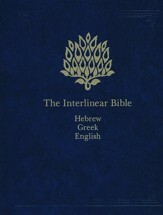 I'm the author/artist and I want to review A Basic Introduction to Biblical Hebrew--Book and CD-ROM.